With a BBC Radio 1 show, her own party brand and a record label, Monki presides over a mini empire. In the years since she first got involved in the electronic music business, she has risen to every challenge with ease, working her way up from an intern at Rinse FM to become an influential international selector, with gigs across Britain and beyond. Monki has appeared at many of the UK’s most iconic venues as well as commanding the big stage at festivals on a regular basis. A consistent force within the electronic music scene, Monki operates in a class of her own. In her youth, Monki was fascinated with pirate radio. Her love of music and radio led to two pivotal work placements that set her on her current path; the first was at revolutionary station Radio Jackie, while there she landed an internship with legendary London broadcaster, Rinse FM. After a year of solid graft behind the scenes, she was offered a Thursday morning slot, which she made her own. Her prowess as a presenter and DJ earned her a promotion to a prime time Saturday slot, and from there the only way was up…..and that’s exactly what she’s done. As a member of the BBC station’s hugely influential team of electronic music taste makers, Monki channels her knowledge and experience into creating a show that educates and entertains its listeners in equal measure. She has appeared at clubs such as Fabric, Sankeys and The Warehouse Project paired with overseas adventures at festivals like Hideout, Snowbombing and Annie Mac’s Lost And Found. 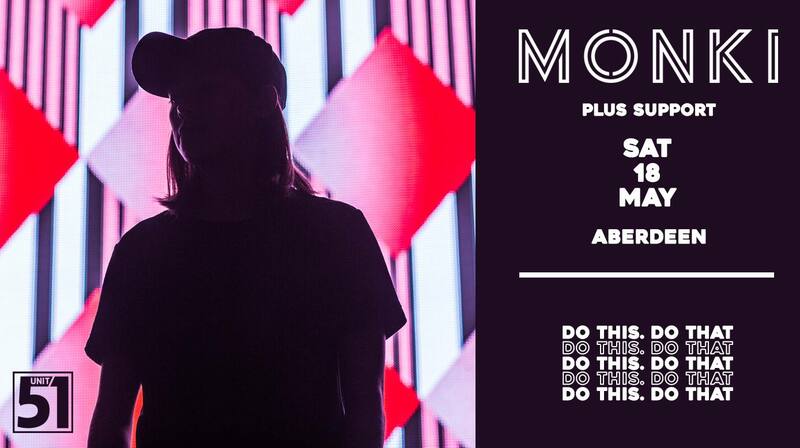 Alongside her solo bookings, Monki also curates her own night called ‘Monki & Friends’, which has toured the UK, in association with Red Bull. A true music aficionado, Monki is not only naturally talented, with an innate flair for DJing, but she is also versatile, dedicated to her craft and genuinely passionate about music in all its forms. With over a decade of experience already under her belt, and no let up in her work ethic, there’s no doubt that Monki will bring her A game to Unit 51.